Probate is the law that everyone tries to avoid. Assets are titled in joint tenancy with right of survivorship; real estate is titled in tenancy in the entireties when owned by husband and wife; beneficiaries are placed on accounts and life insurance and assets are placed in trust. Some people believe that simply having a will can help them avoid probate. That is not true. A. Decedent’s Estates. This is the division of Probate Law which most people try to avoid. The filing of a probate case is necessary in order to obtain court approval for the transfer of assets which are owned in the name of the decedent only. This is necessary whether the decedent had a will at the time of his death or not. If the individual dies with will, the estate is called a “testate” estate. If there is no will, the estate is called an “intestate” estate. The individual who applies to the Probate Court to be appointed representative of the Estate, is called an Executor for a testate estate and Administrator for an intestate estate. liquidate assets of the decedent, determine the debts of the decedent and notify the creditors of the decedent of his/her death, determine the heirs and/or legatees of the decedent and to pay administrative expenses of the estate, including, publication, bonds, attorney’s fees and fees to other professionals. Claims filed by creditors for debts owed by the decedent which have been approved by the Court must be paid by the representative prior to distribution of any remaining assets to the heirs and legatees of the estate. Many decedent’s estates are disputed by heirs, legatees or creditors of the decedent. The validity of a will, the actions of the representative or the distribution of assets of the estate are typical grounds to take action in the probate action. This type of litigation can be extremely complicated and time consuming. B. Guardianship for Minors. Guardians for minors (children under the age of 18 years) are appointed by judges of the Probate Court to act as guardians of the person of the child or as guardians of the estate of the child or both. In situations in which the minors have no parents or if the parents are unable or unwilling to care for their child, a guardian of the person is required to control the personal care of the child. In the event that the minor has assets prior to the appointment of a guardian or if the child obtains assets in their own names, the appointment of a guardian for the estate of the minor child is necessary to manage the assets of the minor until the child reaches the age of 18 years. The individual who petitions the Probate Court to be appointed guardian for a minor must obtain the permission of both parents to be appointed guardian. The judge will appoint a guardian ad litem, an attorney working in the Probate Court, to investigate the petitioner and the situation of the minor child and recommend to the court whether the petitioner should be appointed as guardian or not. If the petitioner is appointed to be guardian of the person, he/she must give the Probate Court an annual report as to the welfare of the child. If the petitioner is appointed to be guardian of the estate of the child, he/she must provide the Probate Court with a detailed annual accounting of the finances of the minor child. The guardian of the minor will be discharged when the child reaches the age of 18 and all funds will be transferred to the new adult. C. Guardianship for Incompetent Adults. Dementia and Alzheimers Disease are the most common maladies requiring the appointment of a guardian by the Probate Court. In order to have a guardian appointed for an incompetent person, a report from a doctor having knowledge of the condition of the individual must be filed with the court stating that the patient is, in fact, incompetent and unable to care for himself/herself. The court will appoint a guardian ad litem in this case also to investigate the petitioner and the situation of the affected adult. Guardians for the person and the estate of the incompetent individual may be appointed by the Probate Court. The Probate statutes provide strict rules as to the care of the incompetent person and the management of their assets. Annual reports and accountings are also required from the guardian to the Probate Court. Both guardians for minors and guardians for incompetent individuals owe a fiduciary duty to their wards. They must ensure that their efforts are for the complete benefit of the ward. Need Assistance with a Probate Matter? 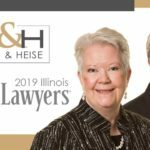 Bush & Heise Can Help. We have over thirty (30) years of experience in working with Probate matters. We are completely familiar with the statutes and rules of the Probate Court and can advise you as to the best actions to take in order to act as guardians, executors and administrators without the breach of your fiduciary duty. These are very big jobs and you will need help and advice regarding your actions. Please give us a call for a free initial consultation. If you are the beneficiary to an estate without the guidance of a will or trust, contact a Barrington probate attorney or call us at 1-847-382-4560 to receive a free initial consultation concerning your situation. Although completion of a will or trust is ideal when addressing the wishes of the deceased, probate may be necessary if assets are not disposed of properly. For over 40 years, our law firm has been assisting clients with the complex and lengthy process of probate. Our attorneys have the experience necessary to sort out any complex issue arising from the probate of an estate. We also frequently work in Chancery Court to resolve issues relating to trust and will contests. If you are a beneficiary concerned about the proper administration of an estate, contact us today. Our probate attorneys are ready to generate options and take decisive action to assist in your success. A testate probate is one in which the decedent died with a valid will. 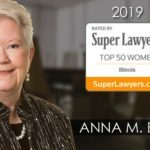 The will must have been properly executed according to Illinois law, designating beneficiaries and the executor of the estate. In intestate probate is one in which there is no valid will. In this situation, the court determines the beneficiaries based on state law. Since there is no executor in an intestate probate, the court also designates an administrator, a person close to the decedent who will assume the same responsibilities of the executor. Intestate probates can become contentious affairs. Since the court cannot divine the wishes of the decedent, certain family members may feel treated unfairly and a will contest may ensue. At Bush & Heise, Attorneys At Law, our lawyers represent interested parties in a broad range of probate and estate administration matters. We routinely represent administrators in intestate probate proceedings, guiding them through the complex legal terrain of the probate process. In every probate issue we handle, we strive to achieve the most favorable outcome for our client, while sparing them from the unnecessary expense and acrimony of a legal dispute.